Not sure which ones we hate more, but that's just us. (SPOT.ph) The orange plastic barriers were originally placed for the November 2015 Asia-Pacific Economic Cooperation Summit. Meant to separate the VIP lane, the barriers are now being used as a division for the bus lane. 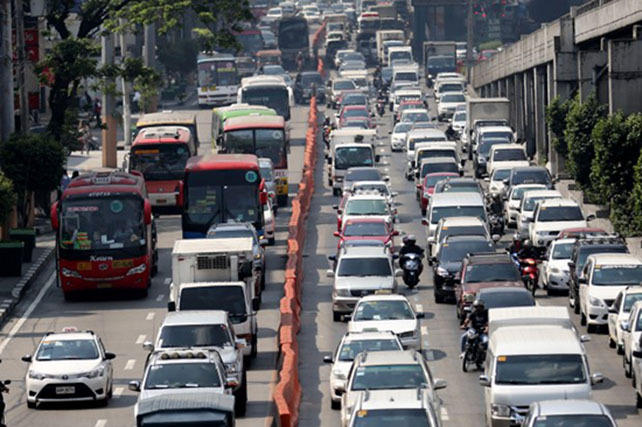 Intended to ease traffic, they have been blamed for a number of accidents that have occurred on EDSA. In contrast to the height of the old barriers, the new ones, called “concrete delineators,” are shorter at about four to six inches off the pavement, reports Inquirer.net. They can already be spotted along the Shaw Boulevard to Buendia route. “The Department of Public Works and Highways designed those concrete separators or delineators in such a way that buses using the outer lanes of EDSA can go over them to get to the private vehicle lanes in case of an emergency,” said Metropolitan Manila Development Authority Traffic Discipline Office head Cris Saruca. He adds that private vehicles, however, cannot cross the separators to transfer to the bus lanes. According to Ricardo Ramos of the Citizens Infrastructure Integrity Watchdog, the new delineators may be more dangerous than the old ones.